CHANGI GREEN UPPER CHANGI RD EAST CONDO 2 rms. $2.8K listed on 21/11/2010. F/furn. CHANGI GREEN UPPER CHANGI RD EAST CONDO 2 rms. Full Facilities, Renovated, F/furn. CHANGI GREEN UPPER CHANGI RD EAST CONDO 3 rms. Full Facilities, Renovated, F/furn. CHANGI GREEN UPPER CHANGI RD EAST CONDO 2 rms. $3.1K listed on 03/12/2010. Airport, 2 Bdrms, Neg..
CHANGI GREEN UPPER CHANGI RD EAST CONDO 2+1 rms. #01 Expo MRT, Airport, Immed, Quiet. CHANGI GREEN UPPER CHANGI RD EAST CONDO 3+1 rms. Just Renovated, Spacious, F/furn, Immed, Quiet. CHANGI GREEN UPPER CHANGI RD EAST CONDO 4+1 rms. #01 Avail Mid Dec, Facing Pool, P/furn, Unfurn. UPPER CHANGI RD EAST SEMI-D 3+1 rms. $2.6K listed on 23/11/2010. Unfurn. UPPER CHANGI RD EAST SEMI-D 5 rms. $3.5K listed on 04/12/2010. 2 Storey, Unfurn. UPPER CHANGI RD EAST SEMI-D 4+1 rms. Renovated, 2 Storey, Immed. SEAGULL WALK TERRACE Inter Terrace, Amenities, 3 Storey, Airport, Immed. SEAGULL WALK TERRACE 4+1 rms. NE facing, 3 Storey, Lovely, Immed. MERA TERRACE SEAGULL WALK TERRACE 4 rms. 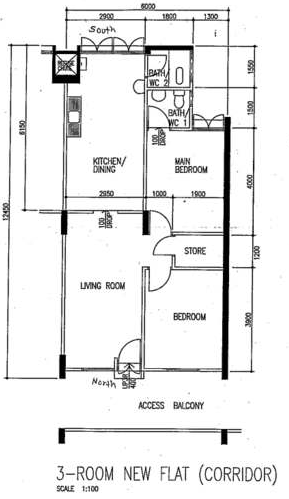 Inter Terrace, NE facing, 3 Storey, Spacious, Bright, Immed. SEMI-D S/storey, Amenities, Bare Unit, Move-in, Immed. JLN PERGAM SEMI-D 3 rms. $4K listed on 27/11/2010. New Renovation, S/storey, Big Garden. JLN PERGAM SEMI-D 3+1 rms. $7.5K listed on 21/11/2010. Avail Immed, Renovated, 2 Storey. CHANGI RISE CONDO SIMEI RISE CONDO 4+1 rms. Good Facing, Bright. MELVILLE PARK SIMEI ST 1 APT 3+1 rms. Also For Sale, F/furn, Move-in, Breezy, Windy, Nice Low/mid flr. MELVILLE PARK SIMEI ST 1 APT 2 rms. Mid Flr F/furn, Simei MRT, Neg..
MELVILLE PARK SIMEI ST 1 APT 3+1 rms. F/facilities, Shopping Mall, Quiet, MRT. MELVILLE PARK SIMEI ST 1 APT 2 rms. Mid Flr Avail Fr Jan, Open View, Simei MRT, Renovated. MELVILLE PARK SIMEI ST 1 APT 3+1 rms. Mid Flr F/facilities, Avail Immed, 3-toilets, New Paint, F/furn. MELVILLE PARK SIMEI ST 1 APT 3+1 rms. Simei MRT, Renovated, Aircon. MELVILLE PARK SIMEI ST 1 APT 2+1 rms. Also For Sale, F/furn, Move-in, Breezy, Windy, Nice Low/mid flr. MELVILLE PARK SIMEI ST 1 APT 2 rms. Well Equipped, F/furn, Garden, MRT. MELVILLE PARK SIMEI ST 1 APT 3+1 rms. High Flr Avail Fr Dec, Pool View, F/furn. MELVILLE PARK SIMEI ST 1 APT 2 rms. #01 Nice Decor, Simei MRT, F/furn. MELVILLE PARK SIMEI ST 1 APT 2 rms. High Flr No Noon Sun, Face Park, Renovated, F/furn, MRT. MELVILLE PARK SIMEI ST 1 APT 2 rms. Cobroke Welcome, Nice Decor, Simei MRT, F/furn. SUNHAVEN UPPER CHANGI RD EAST CONDO 3 rms. Partial/fully Furn, Pool View, Near MRT, Mall. SUNHAVEN UPPER CHANGI RD EAST CONDO 3 rms. #01 Designer Deco, Resort Style, Beautiful, Furn. SUNHAVEN UPPER CHANGI RD EAST CONDO 3+1 rms. F/facilities, Pool View, Renovated, F/furn. HARVEY AVE SEMI-D 5+1 rms. Newly Renovated, 2 Storey, Immed. MISTRAL PARK HARVEY AVE TERRACE 4+ rms. Corner Terrace, Eastpoint, Simei MRT, 3 Storey, Mall, Pool. JLN ANGIN LAUT TERRACE 4+1 rms. $5.5K+ listed on 03/12/2010. Corner Terrace, 3 Storey, P/furn, MRT. JLN ANGIN LAUT HOUSE 7+2 rms. Long Driveway, Near MRT, Spacious, Shopping. SIMEI GREEN SIMEI ST 4 CONDO EXEC 3+ rms. Pool View, Near MRT, F/furn, Bright, Study, Quiet. MODENA SIMEI ST 4 CONDO 3+1 rms. Pool View. TROPICAL SPRING SIMEI ST 4 CONDO 3+1 rms. Facilities, Simei MRT, Pool View, Eateries, F/furn. TROPICAL SPRING SIMEI ST 4 CONDO 3+ rms. 5 Mins To MRT, For Rent, P/furn, Immed, Patio, Pool. SIMEI GREEN SIMEI ST 4 CONDO EXEC 3 rms. Mid Flr $3.2K listed on 23/11/2010. Near MRT, P/furn. SEA BREEZE AVE TERRACE 4+1 rms. Corner Terrace, Mins To MRT, Well Kept, 3 Storey, Immed, Furn. SEA BREEZE WALK TERRACE 3+1 rms. Simei MRT, 2 Storey, P/furn, Quiet, Mall. SIMEI APT High Flr $3K listed on 04/12/2010. Newly Renovated, Simei MRT, Approved, F/furn, Rare. SIMEI SEMI-D 4+1 rms. $5.XK listed on 04/12/2010. Park 4 Cars, No Noon Sun, P/furn, Office, Immed. SIMEI ST 3 CONDO 3+1 rms. Facilities, Simei MRT, Windy, School. EASTPOINT GREEN SIMEI ST 3 CONDO 2+1 rms. Walk To MRT, Well Kept, Pool View, Greenery, P/furn, Mall. EASTPOINT GREEN SIMEI ST 3 CONDO 3+1 rms. F/facilities, New Paint, Quiet, MRT. EASTPOINT GREEN SIMEI ST 3 CONDO 3+1 rms. High Flr Also For Sale, Unblock, F/furn. EASTPOINT GREEN SIMEI ST 3 CONDO Mid Flr $3K listed on 27/11/2010. Avail End Nov, Near MRT, Neg..
EASTPOINT GREEN SIMEI ST 3 CONDO 2+1 rms. Unblock, Greenery, F/furn, Shopping, Pool, Neg., MRT. EASTPOINT GREEN SIMEI ST 3 CONDO 3+1 rms. Unblock, Greenery, F/furn, Shopping, Pool, Neg., MRT. EASTPOINT GREEN SIMEI ST 3 CONDO $2.8K listed on 26/11/2010. F/furn, Move-in, Immed, Neg., MRT. EASTPOINT GREEN SIMEI ST 3 CONDO $3.2K listed on 30/11/2010. Brand New, F/furn, Aircon, Immed. EASTPOINT GREEN SIMEI ST 3 CONDO 3+1 rms. $3K listed on 30/11/2010. Amenities, P/furn, MRT. EASTPOINT GREEN SIMEI ST 3 CONDO 3 rms. Full Facilities, Avail Immed, Near MRT, P/furn, Shopping. EASTVALE PASIR RIS DRIVE 3 CONDO EXEC Convenient, Avail Fr Dec, F/furn, Aircon, MRT. EASTVALE PASIR RIS DRIVE 3 CONDO EXEC 3+1 rms. High Flr P/furn, MRT. RIS GRANDEUR ELIAS RD CONDO 4+1 rms. $5.5K listed on 28/08/2010. Penthse, Pool View, Ensuite, Pool, 4 yrs old. RIS GRANDEUR ELIAS RD CONDO 3+1 rms. Unblock, Pool View, Near MRT, Unfurn, Mall, Neg..
RIS GRANDEUR ELIAS RD CONDO 3 rms. $3.65K listed on 21/11/2010. Pool View, P/furn, Immed, Patio. RIS GRANDEUR ELIAS RD CONDO 4P rms. Penthse, Vacant, Nice. RIS GRANDEUR ELIAS RD CONDO 3 rms. $3.5K listed on 25/11/2010. F/furn, Patio, Nice. AVILA GARDENS FLORA RD CONDO 2 rms. $2.6K listed on 25/11/2010. Immed, Garden. AVILA GARDENS FLORA RD CONDO STUDIO rms. $2.2K listed on 24/11/2010. Avail Mid Dec, Mall. AZALEA PARK CONDO FLORA RD CONDO 3 rms. $3.2K listed on 21/11/2010..
AZALEA PARK CONDO FLORA RD CONDO 2 rms. #01 F/facilities, F/furn, 2 Bdrms. AZALEA PARK CONDO FLORA RD CONDO 4+1 rms. $3.8K listed on 04/12/2010. Patio. ESTELLA GARDENS FLORA RD CONDO 3+1 rms. Pool View, Ensuite, Penthse, Garden. ESTELLA GARDENS FLORA RD CONDO 2+1 rms. CARISSA PARK CONDO FLORA DRIVE CONDO 3+1 rms. TOP Attractive Rental, Pool View, F/furn, Immed. CARISSA PARK CONDO FLORA DRIVE CONDO 3+1 rms. Pool View, F/furn, Immed. DAHLIA PARK CONDO FLORA DRIVE CONDO 3+1 rms. $3.2K listed on 02/12/2010. Tip-top. DAHLIA PARK CONDO FLORA DRIVE CONDO 3+1 rms. Shuttle Bus To MRT, Furniture, Beautiful, Airport, Immed. 407 PASIR RIS DRIVE 6 Hdb 3+1 5 Mins To MRT, Avail Immed, Bus Stop, Dr-to-dr, F/furn, Aircon. 417 PASIR RIS DRIVE 6 Hdb 3+1 Renovated. 190 PASIR RIS ST 12 Hdb 3+1 Avail Mid Dec, Amenities, Approved, Nice, Furn, Lift. 254 PASIR RIS ST 21 Hdb 5I Amenities, F/furn, Aircon, Study. 267 PASIR RIS ST 21 Hdb 4R Newly Renovated, Already Cobroke, Aircon, Immed, Furn. 231 PASIR RIS DRIVE 4 Hdb 5R Near Amenities, All Races Eligible, F/furn, Aircon, Neg..
244 PASIR RIS ST 21 Hdb EA High Flr Prefer Family, Approved, F/furn, Aircon, Immed. 537 PASIR RIS ST 51 Hdb EA Avail Immed, Mins To MRT, Spacious, Balcony, Bright. 543 PASIR RIS ST 51 Hdb EA High Flr Walk To MRT, Amenities, Approved, Vacant. 585 PASIR RIS ST 53 Hdb EM 3 Mins To MRT, Shopping Mall, Exec Mais, P/furn. 644 PASIR RIS DRIVE 10 Hdb EA Amenities, Near Mkt, Immed, School. 724 PASIR RIS ST 72 Hdb 3R No Cobroke, F/furn, Aircon, Neg..
724 PASIR RIS ST 72 Hdb 5R Already Cobroke, F/furn, Aircon, Ntuc. 746 PASIR RIS ST 71 Hdb 5I Bus Stop, F/furn, Aircon, MRT. 758 PASIR RIS ST 71 Hdb $1.6K listed on 27/11/2010. F/furn, Aircon. 762 PASIR RIS ST 71 Hdb 4A Corner. 892 TAMPINES AVE 8 Hdb EA High Flr Near Amenities, Lift Level, Renovated, Approved, F/furn, Aircon, Immed. 892A TAMPINES AVE 8 Hdb EA High Flr Amenities, Approved, Wet Market, Bright, Windy. 892A TAMPINES AVE 8 Hdb EA High Flr Unblock, Spacious. 817 TAMPINES ST 81 Hdb 2+1 $2K listed on 27/11/2010. 2 Aircon, Near MRT, Approved, F/furn, Mall. 819 TAMPINES ST 81 Hdb 3A High Flr Short-term Avail. 143 TAMPINES ST 12 Hdb 5A High Flr Near MRT, Spacious, Balcony, Bright, Furn, Market. 911 TAMPINES ST 91 Hdb F/furn, Nice, Neg..
716 TAMPINES ST 71 Hdb 5I High Flr F/furn, Nice. 742 TAMPINES ST 72 Hdb 5R High Flr Avail Fr Jan, Amenities, F/furn, Corner. 111 TAMPINES ST 11 Hdb 3+1 High Flr P/furn, Tenants, Aircon. 114 TAMPINES ST 11 Hdb 5A High Flr Walk To MRT, F/furn, Quiet, Neg..
124 TAMPINES ST 11 Hdb 2+1 High Flr Beautiful, F/furn, Aircon, Corner, Immed. 273 TAMPINES ST 22 Hdb 4A Mid Flr Lift Landing, Aircon, Corner, Whole, Airy, Furn. 275 TAMPINES ST 22 Hdb 3+1 Prefer Family, Avail Fr Jan, All Races Eligible, For Rent, Furn. 207 TAMPINES ST 21 Hdb 2+1 High Flr Near Amenities, Avail Immed, Lift Level, F/furn, Aircon. 212 TAMPINES ST 23 Hdb 2+1 Renovated, Approved, F/furn, Aircon. 230 TAMPINES ST 24 Hdb EA Shopping Mall, Walk To MRT, Approved, Aircon, Furn. 450 TAMPINES ST 42 Hdb 5R F/furn, Corner. 481 TAMPINES ST 44 Hdb 4R $1.8K listed on 27/11/2010. F/furn, Aircon. 234 TAMPINES ST 21 Hdb 2+1 Renovated, Approved, F/furn, Aircon. 243 TAMPINES ST 21 Hdb 2+1 Renovated, Approved, F/furn, Aircon. 424 TAMPINES ST 41 Hdb 3A Well Kept, Amenities, Near MRT, Move-in, Furn. 505 TAMPINES CENTRAL 1 Hdb 4A Family Preferred, Best Location, Tampines MRT, Amenities, F/furn. 157 TAMPINES ST 12 Hdb 3R $2K listed on 04/12/2010. Tampines MRT, Interchange, F/aircon, Mall. 160 TAMPINES ST 12 Hdb 5I High Flr Avail Mid Jan, Shopping Mall, Near Central, Renovated, P/furn, MRT. 246 TAMPINES 21 Hdb 2/3+1 $2.4K listed on 26/11/2010. 5 Mins To MRT, All Races Eligible, Aircon, Furn. 151 SIMEI ST 1 Hdb 5R High Flr Newly Renovated, F/aircon, Approved, F/furn, Corner, Rare, MRT. 242 SIMEI ST 5 Hdb 3+1 Next To MRT. C**ists of 3 bedrooms, kitchen, living room. C**ists of 3 bedrooms, kitchen, dining room, living room, storeroom. Master bedroom comes with attached bathroom. 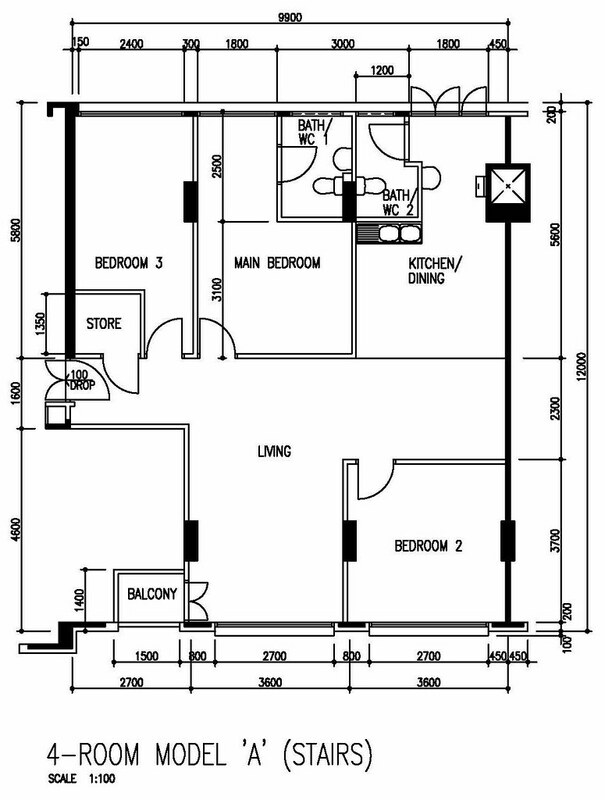 Miscell Flats (varies) – These are flats created by purchasing and joining 2 adjacent units. Such units are c**idered as one and have one address, utility meter and so on. eg. a 3+3 is created by combining (2) 3-rm units and building a passageway through. Not all flat types exist in each estate, and a 4 ‘A’ layout in one estate might differ from another. 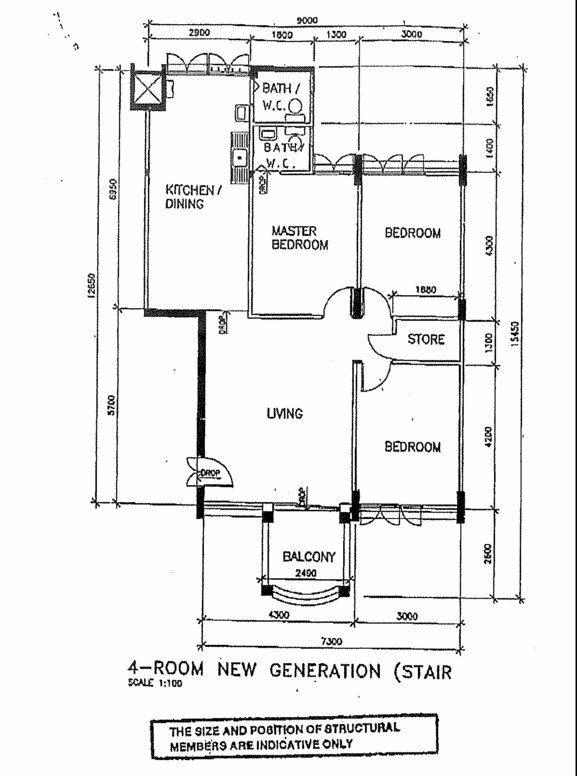 Also, floor area are estimates as newer flats are generally smaller, while upgrading of older flats would have added additional rooms/balcony/toilet. 108 HOUGANG AVE 1 Hdb 4R #02 Near Mkt, Approved, Aircon, Furn. 108 HOUGANG AVE 1 Hdb 4+1 F/furn. 108 HOUGANG AVE 1 Hdb 4R No Cobroke, Near Mkt, Approved, F/furn. 141 LOR AH SOO Hdb EM Exec Mais, Immed, Approved, Aircon, Quiet. 141 LOR AH SOO Hdb EM Exec Mais, Spacious, Windy, Quiet. 221 HOUGANG ST 21 Hdb EM Exec Mais. 309 HOUGANG AVE 5 Hdb 2+1 Near Amenities, Shopping Mall, Mins To City, Avail Immed, Hougang MRT, Approved, F/furn. 311 HOUGANG AVE 5 Hdb 3NG Newly Renovated, Amenities, F/furn, Move-in, Aircon. 319 HOUGANG AVE 5 Hdb 3+1 $2K listed on 30/11/2010. MRT. 719 HOUGANG AVE 2 Hdb EM Mid Flr Nicely Renovated, Near Amenities, Exec Mais, F/furn, Aircon, Immed, Neg..
720 HOUGANG AVE 2 Hdb Mid Flr Cobroke Welcome, Amenities, F/furn, Aircon. 720 HOUGANG AVE 2 Hdb EM Mid Flr Nicely Renovated, Near Amenities, Exec Mais, F/furn, Aircon, Immed, Neg..
511 HOUGANG AVE 10 Hdb 3R Renovated. 522 HOUGANG AVE 6 Hdb EM Bus Interchange, Exec Mais, Amenities, MRT. 528 HOUGANG AVE 6 Hdb 2+1 Reasonable Rental, Aircon. 533 HOUGANG AVE 6 Hdb EM Exec Mais, Amenities, Nice, Cosy, Neg., MRT. 559 HOUGANG ST 51 Hdb 4+1 High Flr $2.3K+ listed on 20/11/2010. Avail Immed, F/furn, Aircon. 569 HOUGANG ST 51 Hdb Mid Flr Near Amenities, View To Offer, Move-in. 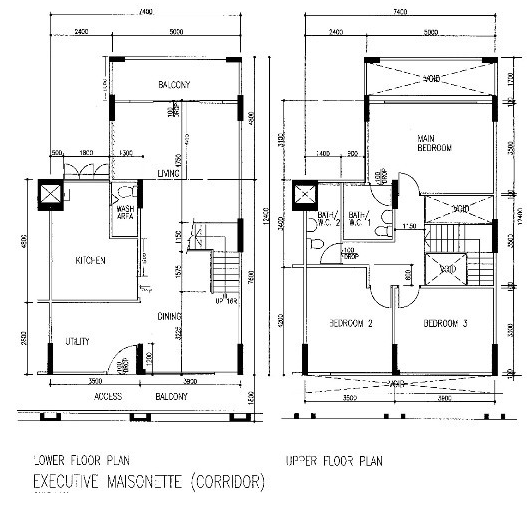 900 HOUGANG Hdb 5R #03+ Avail Fr Dec, F/furn, Nice. 984 BUANGKOK LINK Hdb 5R High Flr $2.3K listed on 04/12/2010. Nicely Renovated, Near Amenities, Approved, F/furn, Neg..
923 HOUGANG AVE 9 Hdb High Flr Nicely Furnished, Cobroke Welcome, Convenient, Aircon, Whole, Rare. 942 HOUGANG ST 92 Hdb 5R Amenities, Furn. 507 SERANGOON NORTH AVE 4 Hdb 4A $2.35K listed on 04/12/2010. Open View, Sole Agent, Approved, Rental. 950 HOUGANG ST 91 Hdb 5I Good Schools, F/furn, Aircon. 850 HOUGANG CENTRAL Hdb EA . 406 HOUGANG AVE 10 Hdb 4A TOP Newly Renovated, Mins To MRT, F/furn, Aircon, Windy, Mall. 406 HOUGANG AVE 10 Hdb 4A High Flr Newly Renovated, Mins To MRT, F/furn, Aircon, Windy, Mall. 415 HOUGANG AVE 10 Hdb 3NG Mid Flr Shopping Mall, Near MRT, Approved, F/furn, Move-in, Aircon. 425 HOUGANG AVE 6 Hdb 3+1 Nicely Renovated, Hougang MRT, P/furn, F/furn, Aircon, Clean. 324 SERANGOON CENTRAL Hdb 4R $2.4K listed on 27/11/2010. 2 Mins To MRT, Avail Fr Jan, All Races Eligible, F/furn, Aircon. 332 SERANGOON AVE 1 Hdb 2+1 High Flr Near Amenities, Convenient, F/aircon, MRT. 424 SERANGOON CENTRAL Hdb 3+1 Prefer Family, Avail Immed, Amenities, Renovated, P/furn, Aircon, MRT. 203 SERANGOON CENTRAL Hdb 3+1 High Flr Walk To MRT, Lift Level, Aircon. 240 SERANGOON AVE 2 Hdb 3+1 Aircon, Nice, Furn. 319 SERANGOON AVE 2 Hdb EM High Flr Newly Renovated, Exec Mais. 230 KOVAN Hdb High Flr Walk To MRT, Approved, F/furn, Aircon, Immed. 334 SERANGOON AVE 3 Hdb 4R Shopping Mall, Serangoon MRT, Move-in, Unfurn, Immed. 329 LOR CHUAN Hdb 5R Approved, Immed, Furn, MRT. 231 SERANGOON AVE 3 Hdb 4A $1.7K listed on 04/12/2010. F/furn. 106 HOUGANG AVE 1 Hdb 4+ Renovated, Aircon, Shops, Market. JLN TANI TERRACE 3+1 rms. Corner Terrace, Shopping Mall, Kovan MRT, Renovated, 2 Storey, Market, Furn. JLN TANI TERRACE 3+1 rms. Corner Terrace, 2 Storey, P/furn, Immed. FONTAINE PARRY POH HUAT RD CONDO 3P rms. Brand New, Near MRT, 2 Storey, Penthse, Immed. FONTAINE PARRY POH HUAT RD CONDO 3P rms. Roof Terrace, Amenities, Penthse, School. JLN LIMBOK APT 4+1 rms. #02 $2.5K listed on 04/12/2010. Walkup, Aircon, Unfurn, Immed, Quiet, Furn. PARK VILLAS POH HUAT RD TERRACE 4 rms. Corner Terrace, 3 Storey, Nice, Cosy. PARK VILLAS POH HUAT RD TERRACE 4+1 rms. Corner Terrace, 3 Storey, Aircon, School. JANSEN CONDO $3.2K listed on 03/12/2010. Kovan MRT, Jacuzzi, Immed, Pool, Gym. 2LEITH PARK LEITH PARK TERRACE 3+1 rms. Chomp-chomp, Unfurn, School. PALM GROVE CONDO PALM GROVE AVE CONDO 3+1 rms. F/facilities, Avail Fr Jan, Duplex. JANSEN MANSIONS JANSEN RD APT 3 rms. $2.5K listed on 03/12/2010..
JANSEN MANSIONS JANSEN RD APT $2.6K listed on 04/12/2010. F/furn, Walkup, Immed. JANSEN 28 JANSEN RD APT 3+1 rms. Avail Immed, F/aircon, Pool View, P/furn. JANSEN 28 JANSEN RD APT 3+1 rms. $3.5K listed on 25/11/2010. Kovan MRT, Autogate, F/furn, Immed. RESIDENCES @ JANSEN JANSEN RD APT 3 rms. Kovan MRT, Duplex, Unfurn, Immed. YIOCHU KANG APT STUDIO rms. New Renovation, No Commission, Kovan MRT, F/furn, Tenants, Main Rd, Cosy. JLN RENGKAM TERRACE 3+1 rms. $4K listed on 03/12/2010. Avail Mid Dec, Amenities, Renovated, 2 Storey, Neg..
KANG CHOO BIN RD TERRACE $6.3K listed on 27/11/2010. 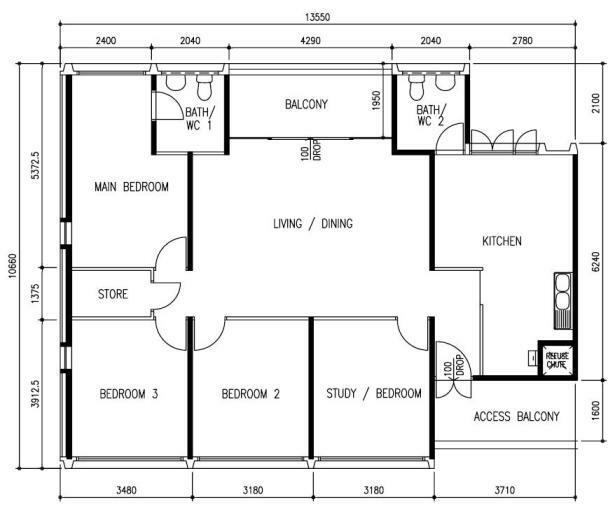 Corner Terrace, 3 Storey, Ensuite, Study, Immed, Nice. SIMON WALK TERRACE 4+1 rms. $3.3K listed on 20/11/2010. Corner Terrace, 3 Storey, Move-in, Unfurn. KOVAN TERRACE 3 rms. $3K listed on 26/11/2010. Park 2 Cars, Inter Terrace, Kovan MRT, 2 Storey. KOVAN SEMI-D 4+1 rms. Avail Immed, Park 2 Cars, Well Kept, Kovan MRT, 2 Storey. KOVAN APT $3K listed on 04/12/2010. Kovan MRT, Furn, Mall, Pool. KOVAN APT 3 rms. $2.95K listed on 04/12/2010. 3-toilets, Kovan MRT, All Races Eligible, F/furn, Pool, Neg..
KOVAN MELODY KOVAN RD CONDO High Flr Unblock, P/furn, By Appt, Immed, MRT. KOVAN MELODY KOVAN RD CONDO 3 rms. High Flr New Paint, Unblock, Immed, Quiet, Shopping, MRT. KOVAN MELODY KOVAN RD CONDO 3+1 rms. P/furn, Immed. KOVAN MELODY KOVAN RD CONDO 4 rms. High Flr No Noon Sun, P/furn, 4 Bdrms, Pool. KOVAN MELODY KOVAN RD CONDO 3 rms. High Flr Amenities, F/furn, Unblock, Neg., MRT. KOVAN MELODY KOVAN RD CONDO 3 rms. Shopping Mall, Immed. KOVAN MELODY KOVAN RD CONDO 4 rms. High Flr Best Unit, Amenities, P/furn, By Appt, Unblock, Immed, MRT. KOVAN MELODY KOVAN RD CONDO 3+1 rms. High Flr Amenities, Pool View, P/furn, MRT. KOVAN MELODY KOVAN RD CONDO 4+1 rms. F/furn, Kovan MRT, Pool View, No Agt. KOVAN MELODY KOVAN RD CONDO 3+1 rms. High Flr Facilities, Spacious, Immed, Furn, Mall, MRT. KOVAN MELODY KOVAN RD CONDO 3+1 rms. No Noon Sun, P/furn, F/furn, Study, Pool High/high flr. KOVAN MELODY KOVAN RD CONDO 3+1 rms. High Flr F/furn, Study. KOVAN MELODY KOVAN RD CONDO 3+1 rms. High Flr Avail Immed, Near MRT, P/furn. MILFORD VILLAS LOR SELANGAT CLUSTERHSE 4+1 rms. Beautiful, Spacious, Unfurn, Corner, Cosy, School. MILFORD VILLAS LOR SELANGAT CLUSTERHSE $6.3K listed on 27/11/2010. Australian School, Spacious, Quiet,Cosy, Pool. SUNGLADE SERANGOON AVE 2 CONDO 4P rms. $4.8K listed on 01/12/2010. Next To MRT, Penthse, Immed, Mall. SUNGLADE SERANGOON AVE 2 CONDO 3+1 rms. P/furn, Study, Immed. SUNGLADE SERANGOON AVE 2 CONDO 3 rms. $4K listed on 27/11/2010..
SUNGLADE SERANGOON AVE 2 CONDO 2+ rms. Shopping Mall, Mins To MRT, Convenient, Well Kept, Unblock,Amenities, F/furn. SUNGLADE SERANGOON AVE 2 CONDO 3+1 rms. .
SUNGLADE SERANGOON AVE 2 CONDO 3 rms. Serangoon MRT, Unfurn. SUNGLADE SERANGOON AVE 2 CONDO 3 rms. Shopping Mall, Near MRT, Bright, Windy, Furn. SUNGLADE SERANGOON AVE 2 CONDO 3+1 rms. Serangoon MRT, City View, Renovated, P/furn. SUNGLADE SERANGOON AVE 2 CONDO 3+1 rms. Mid Flr Pool View. BELLA VISTA SOMMERVILLE RD APT 3+1P rms. With Roof Terrace, F/furn, Penthse, Aircon, MRT. ACACIAS THE SOMMERVILLE RD APT 3+1 rms. #01 Pool View, P/furn, Immed, Patio. YARDLEY THE UPPER SERANGOON RD APT 3+ rms. P/furn, Study, Immed. JLN LABU AYER TERRACE 3 rms. Corner Terrace, Mins To MRT, Basement, P/furn, Garden. JLN LABU AYER TERRACE 4 rms. Inter Terrace, Avail Fr Jan, Amenities, 2 Storey, P/furn, By Appt, MRT. JADE TOWER LEW LIAN VALE APT 3 rms. $2.4K listed on 20/11/2010. Shopping Mall, Amenities, Immed, MRT. JADE TOWER LEW LIAN VALE APT 3+1 rms. Shopping Mall, Serangoon MRT, Well Kept, P/furn. SERANGOON TERRACE 7 rms. $11K listed on 20/11/2010. Corner Terrace. CHERRYHILL LOR LEW LIAN CONDO 3+1 rms. Serangoon MRT, Immed, Furn, Mall, Neg., School. CHERRYHILL LOR LEW LIAN CONDO 3+1 rms. High Flr F/facilities, Furn, MRT.